Cornwall Ontario – Cornwall shares a lot with people around the world, a theme that this year’s edition of Cornwall Tribute seeks to explore. The glossy lifestyle magazine features 48 pages of stories and is published by local newspaper Standard-Freeholder. 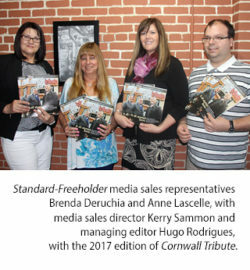 While the 2017 edition marks the 4th year under the name Cornwall Tribute, the publication can trace it roots back to the early 1990s when the paper produced a large tabloid called the Progress Edition. 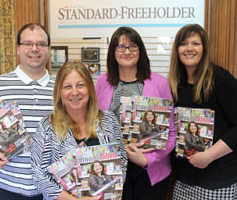 “We thank the people and businesses that worked with us to help tell their stories in this year’s Tribute and share their pride in their accomplishments,” says Hugo Rodrigues, Managing Editor of the Standard-Freeholder. The magazine features stories on businesses that all were started in Cornwall but whose activities reach far beyond our borders. These include food retailer Farm Boy, as well as innovative companies such as Busitech, Smart Greens and Food Cycle Science. 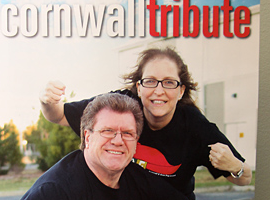 Farm Boy founder Jean-Louis Bellemare and CEO Jeff York grace the cover of Cornwall Tribute. Mr. Bellemare started Farm Boy in Cornwall over 30 years ago, and as the company adds new stores across Ontario, the Cornwall store remains one-of-a-kind. The magazine also includes a story individuals that are succeeding in sport, philanthropy and even festivals. 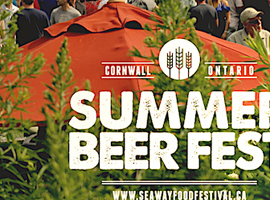 “When you give people the opportunity to check out the food here, they are kind of blown away by what we have,” says Sebastien Manigat, organizer of the Seaway Food Festival and Cornwall Beer Fest. Cornwall Tribute will have a total circulation of 9,000. Cornwall Economic Development will be distributing 1000 copies to people looking to move to the City. 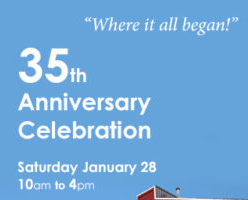 The Standard-Freeholder is Cornwall’s daily newspaper and is one of the oldest newspapers in Canada. The current newspaper began as two publications, the Freeholder, which was founded by the first premier of Ontario, John Sandfield Macdonald, and the Standard. The two newspapers were amalgamated in 1932 and the first issue was published on April 30 of that year. The Standard-Freeholder became a daily newspaper on April 1, 1941. Today, the paper is a division of POSTMEDIA Network Inc..